Hello, Welcome to Stand Out Shop. HELPING JOB SEEKERS ACROSS THE GLOBE GET NOTICED!! Your resume is your first impression. We help you make it a lasting one! Choose from beautiful & professionally designed resume templates, download and edit in minutes! 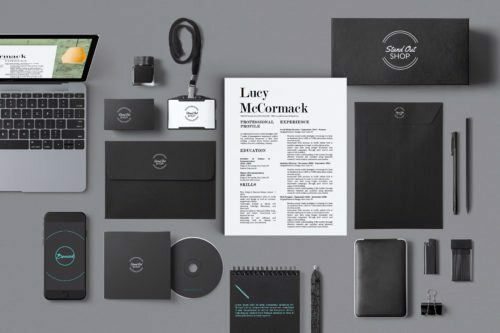 Stand Out Shop templates can help you create a beautiful identity on paper when you apply for jobs and network. 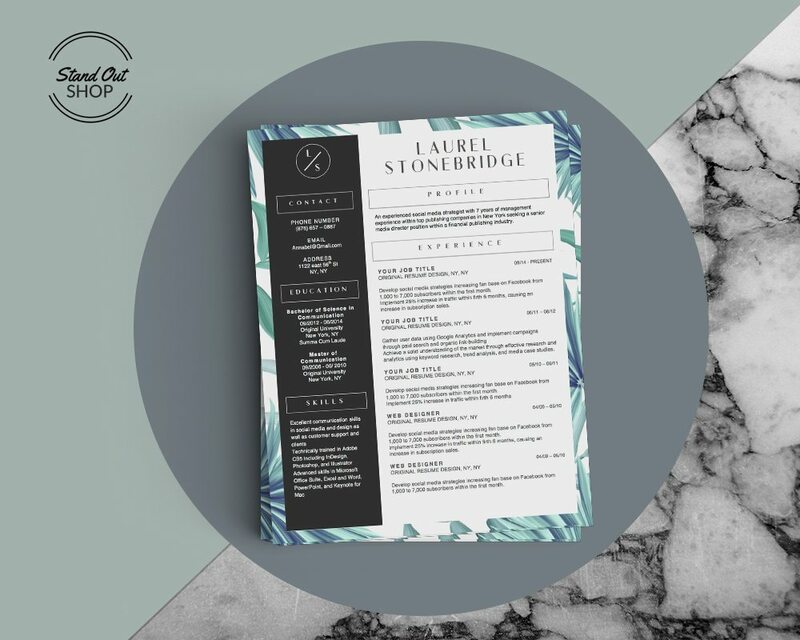 We do this by providing you with beautifully designed resume templates with consistent branding across supporting documents such as cover letters. 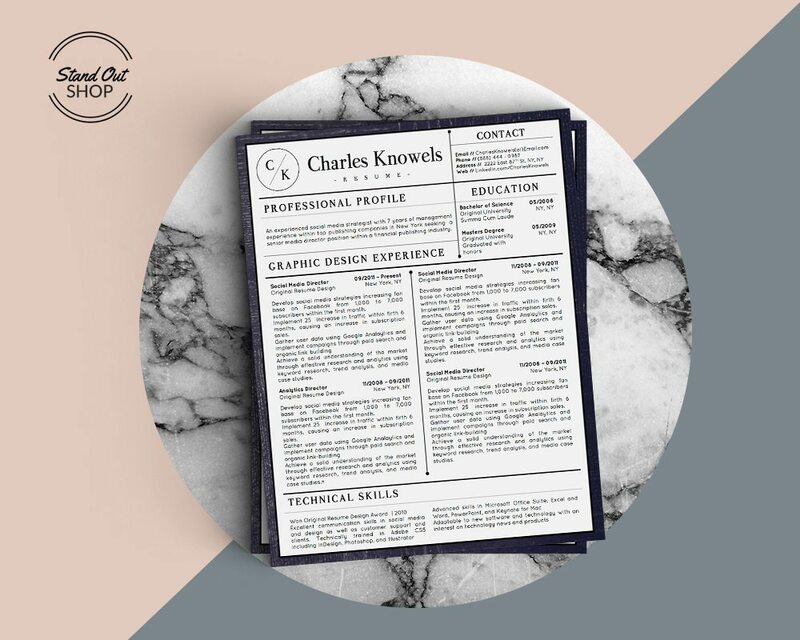 Choose from a wide selection of resume designs. From creative to simple and conservative. Download and edit each template in minutes. Save time on design so you can focus on your content and bring out the best of your experience and personality. All our personal branding designs can be customized completely to your liking right in Microsoft Word or Apple Pages. You can change all elements including colors, fonts, and layouts. To edit our templates, simply click on each text box and type in your information. you can make each text box bigger or smaller to fit your content. We offer full tech support for our products. We LOVE helping our customers and always go out of our way to help you with any questions or problems you may have. Simply contact us and we will provide support within 24 hours. 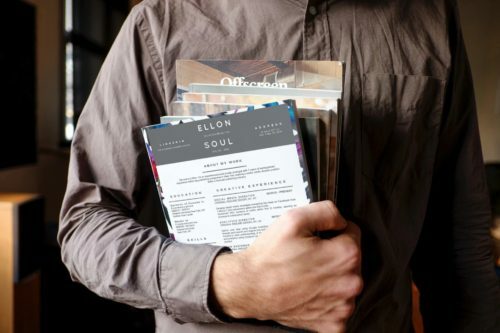 Why having a beautiful resume is important. Branding means promoting a particular product by means of advertising and distinctive design. Personal branding is the practice of people marketing themselves and their careers as brands. Companies use branding to instill trust in their customers and so that customers can remember them (think of Starbucks logo and feeling it evokes). For this reason, you can also use branding on your resume to leave a lasting impression on the hiring manager by incorporating a design. 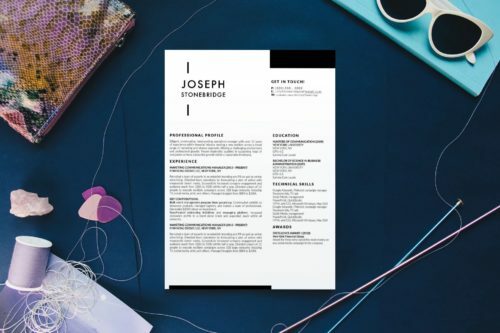 By incorporating a logo design, unique layout and typography, as well as color-schemes on your resume, you’re guaranteed to stand out in a pile of resumes that look the same. But more importantly, you’ll create an interest in the hiring manager to meet you (and compliment your resume). 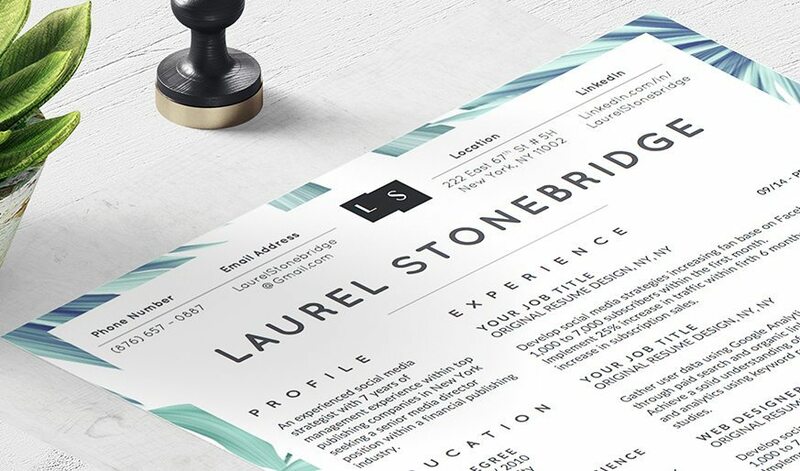 Beautifully designed resume templates for Microsoft Word, Apple Pages, & Photoshop. 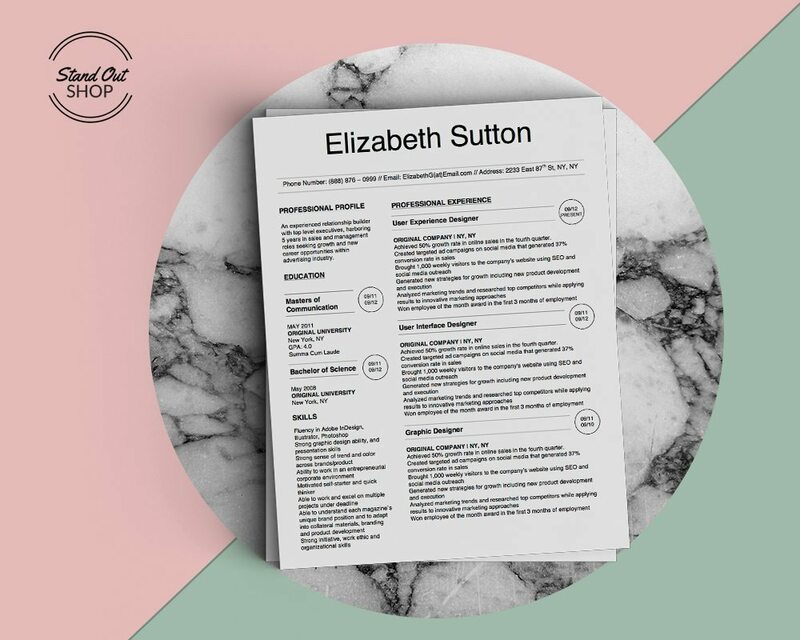 Our resume designs come with matching cover letters to keep your personal branding consistent. We offer editable business cards that match our resume templates to keep your personal branding consistent when networking. A thank you letter template will make it easier for you to leave a lasting impression that matches your resume template. Matching references templates that are consistent with your resume will further impress your hiring manager. Invoice templates for entrepreneurs and artists. 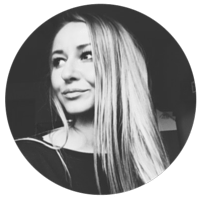 Meet the Creator/ Owner of Stand Out Shop Let's Connect on LinkedIn! Ready to stand out in your job search?